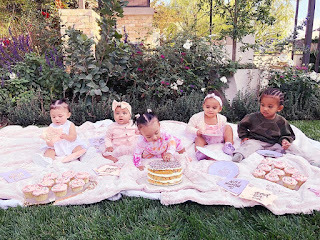 Adorable Kardashian Babies,Stormi,True,Chicago,Dream and Saint all in one photo! Awww cousin love! All adorable babies.Innocent,cute and oblivious of how famous their parents are..